Asst. Police Chief Merle Sass...of Missouri Valley steps off distances at the scene of Friday's accident which killed five Southwest Iowa youths and injured two others. Greer auto came to rest (1) after it was in a collision with the Keairnes car (2) which came to stop (3) after the wreckage was hit by the Sieck auto (4). Arrow designates northbound lane on Highway 30. Nonpareil photo by Jack Kennedy. 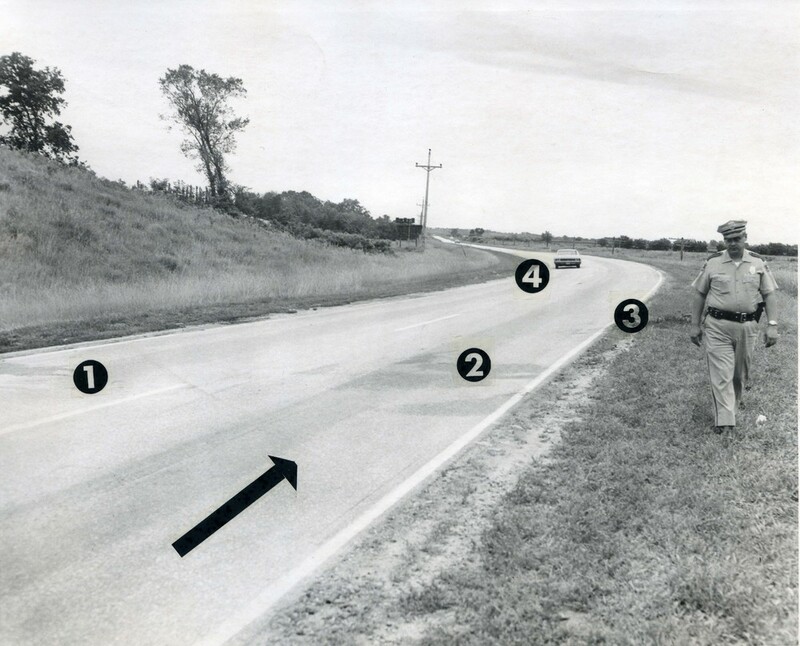 Nonpareil photos, “'I Saw What Was Going To Happen'; Survivor Of Fatal Crash Recalls,” Council Bluffs Public Library, accessed April 21, 2019, https://www.councilbluffslibrary.org/archive/items/show/4579.